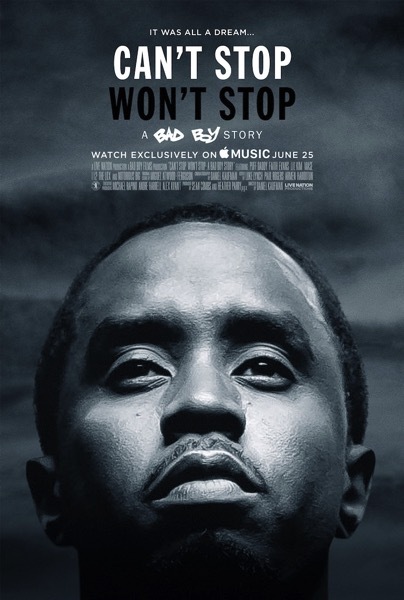 Diddy (a.k.a Puff Daddy and what I’ll always know him as), has debuted his hip hop documentary, Can’t Stop Won’t Stop: A Bad Boy Story, exclusively on Apple Music. Apple is pushing this exclusive hard, as even the Apple Music Twitter bio now details the exclusive launch of this documentary. The trailer for Can’t Stop Won’t Stop debuted in May, while last week, Combs hosted his Los Angeles premiere at the Writers Guild Theatre in Beverly Hills, which saw support from fellow celebrities and musicians like Usher, Dr. Dre, Snoop Dog and Tyrese. This documentary along with the current Tupac biopic in theatres, All Eyez on Me, are on my watch list.